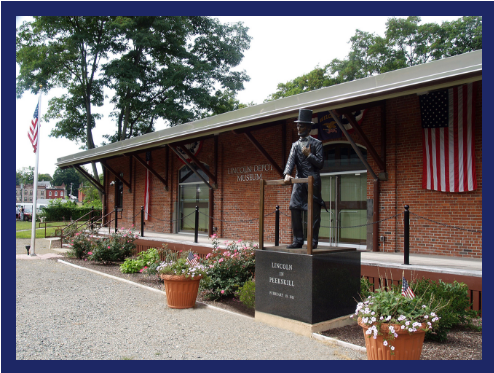 Located by Peekskill Bay on the east bank of the Hudson River, The Lincoln Depot Museum is a 3,000 square foot freight and passenger rail depot where President-elect Abraham Lincoln stopped to greet New Yorkers on February 19, 1861 during his inaugural train ride between Springfield, IL and Washington, DC. New York State Governor George Pataki aided the City of Peekskill with a grant to restore the old rail depot as a museum. 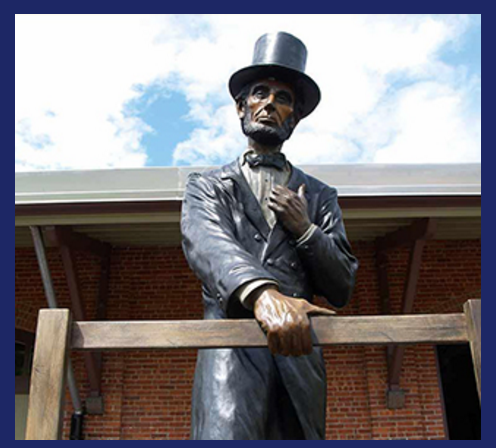 County Legislator John G. Testa, then the Mayor of Peekskill, steered a volunteer board of directors to incorporate The Lincoln Depot Foundation, Inc. as a 501(c)(3) non-profit organization established to restore the Depot as a museum that would illuminate and celebrate Lincoln’s relationship to New York and to New Yorkers before and during the Civil War. Remembering and recounting Lincoln’s ties to Peekskill has special resonance for those who treasure the history of the Hudson Valley as well as lovers of Civil War history. 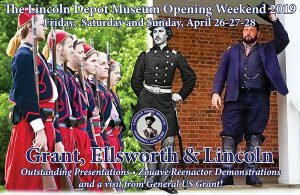 The mission of The Lincoln Depot Museum is to explore, remember, and educate audiences about the place that our local history played on the national stage.